Sandy Rodger is an engineer and business leader, who held senior roles in manufacturing, supply chain and R&D, with Unilever and Diageo, before joining the Ellen MacArthur Foundation in 2013 to lead project MainStream. He now works freelance, supporting organisations with their transition to the Circular Economy. Read his other blogs here. Does my local town have its own unique mains electricity plugs? Does the London Borough of Camden choose to drive on the right? Does each train company set its wheels to its own chosen distance between the rails, optimised for its own rail routes? No. Even in our chaotic and innovative world, we have standards, where being the same as the next town, or all the towns, is more useful than being “better.” Even the super-innovative world of IT has standards. I have lots of cables, which at one end are all different, and at the other end all the same – the USB plug. Design: Products are not designed for recycling. Not really. They carry various statements about their recyclability, which basically mean “this product could theoretically be recycled, somewhere.” The somewhere may actually be somewhere else, perhaps on the other side of the world, perhaps in a laboratory. In most places the product is sold, the design may make it nearimpossible to recycle. But manufacturers also have an impossible task, trying to design recyclable products when every municipality does recycling differently. Standardised recycling systems would give designers and manufacturers a clear target, leading to compatibility in design, labelling, and choice of materials. Investment: Separating different parts of the waste stream is hard, but not impossible. Almost all products start with a heterogeneous raw material from a mine or a field, and over many years engineers have developed technologies for refining and purifying the materials we use to make things. The waste steam is just another source, a growing one at a time when virgin material sources are being depleted. The waste and recycling industry is not new, but as an integral part of manufacturing industry, producing high-quality products, it is on new ground, struggling to develop the skills and business models it needs. It may seem helpful if some citizens in some places can be persuaded to segregate some materials, but this misses the point. If we’re really to stem the tide of waste, we need all the citizens in all the places to feed back all the materials. If we ask too much in terms of separation that will never happen. So a standard – a very simple standard – becomes the basis for the citizen to comply effortlessly, leaving the professionals in the waste and recycling industry to invest in doing the whole of their job. It is nowhere near enough just to standardise between adjacent municipalities, admirable though that may be in the places it is starting to happen, like London and Scotland. Yes that may allow a larger, more efficient, recycling facility to be built, but it doesn’t begin to address the three points above. Citizens move around more widely than that, and the scale of design, manufacturing and investment is far greater than city-size. This is truly the place for international standards. Ah yes, but citizens are different in my town. They have different needs, different culture. Really? When I worked for Unilever we researched consumer behaviour around washing clothes – a similarly mundane domestic task. Every country manager in Unilever’s global empire would tell you that “their” consumer was different. But the research showed in fact there were global archetypes of behaviour, which appeared everywhere, but in slightly different combinations. What if the same applied to recycling – what would the archetypes be? Suppose apartment dwellers in Copenhagen and in Sao Paulo actually have the same needs in terms of recycling – limited space for bins, no direct street access etc. Likewise the house dwellers, and the slum dwellers. The proportions of the three will differ – no slums in Copenhagen for a start – making it easy to say that the two cities are different. But in fact a standardised approach to each kind of dwelling could work in both cities – and everywhere else. And it’s highly debatable whether recycling behaviour is in any deep sense “cultural” – I suspect the so-called culture is mainly people being accustomed to what they currently have. So the idea that municipalities are all different seems to me to be lazy thinking – mainly a way of saying we don’t want to face change from what we are currently doing. Isn’t standardisation a barrier to innovation and design? If innovation is meant to be a complete free-for-all, design without consequences, then perhaps, but since when was that the case? Designers always have to work within parameters of cost and regulation. Design in a circular economy is about designing the system, not just the product, and the economics and regulation will increasingly dictate that the system should allow the materials, and even better the intact product and its components, to be re-used. In that world some standardisation of recycling will greatly help the designer. Getting this done will be hard. The points above are a provocation, which needs more evidence, although similar conclusions appear in the New Plastics Economy report, which has already come through consultation with a large expert group. But even with overwhelming evidence on the principle of standardisation, the question will be which standard? My vote would be for the simplest possible, because high compliance with a simple system should win over partial compliance with a complex system. We should even question whether citizens need to segregate their waste at all! But who decides? The greatest global leverage over product and infrastructure design comes from international companies in different sectors, and from major cities. If the CEOs of Dow, Unilever, and Veolia, all signed up to this, with some major city mayors, that would be a start. The New Plastics Economy report has these players on board, and proposes a Dialogue Mechanism which establishes a new “global plastics protocol.” I believe this needs to include the standardisation of recycling. If it doesn’t, I fear the overall task of eliminating plastic waste will dissolve into impossible complexity. Unlike the plastic floating in the ocean, which won’t dissolve for hundreds of years. 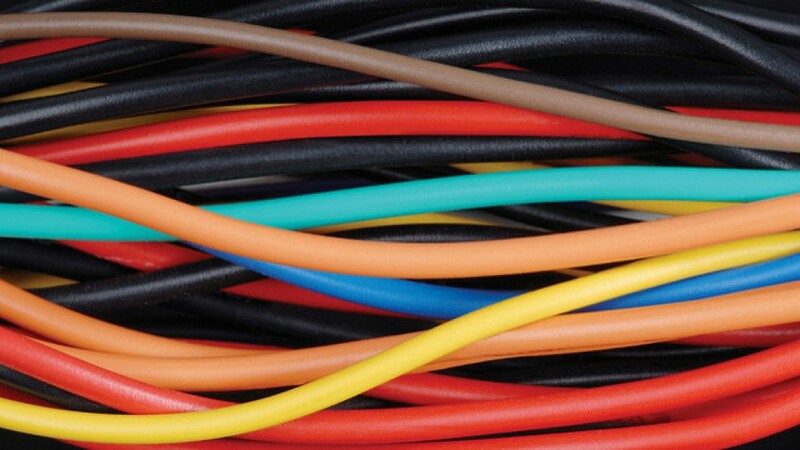 It’s time the world of recycling learns which end of the cable it is. If we want a circular economy, recycling is the USB plug. The Great Recovery was a project by the RSA working with Innovate UK which ran between 2012 and 2016.